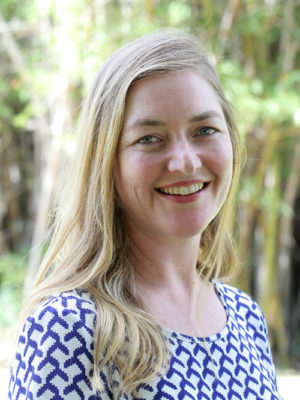 Joy Olivier is one of the co-founders of IkamvaYouth. After seven years of volunteering, she began working full-time for IkamvaYouth in 2010. In addition to her role as the Director of IkamvaYouth, she has worked with TEACH South Africa in the Western Cape, and as a researcher for The University of the Western Cape, The Human Sciences Research Council and Bridges.org. She has freelanced as a researcher, project manager, open educational resource developer, writer and editor in a range of projects with civil society, government and higher education partners. All her work is focused on redressing inequality and injustice in South Africa through promoting equal access to quality education and opportunities. Joy is an Ashoka Fellow and has won a number of national, regional and international awards for her work with IkamvaYouth. She has an honours degree in Psychology and a Master’s degree in Education and ICT from The University of Cape Town.